Eugaree Street Developments comprises of 5 residential townhouses each of four (4) bedrooms, two and half (2.5) bathroom configuration with double undercover lock-up garages. The building is to be constructed over two (2) levels. Each of the 5 proposed townhouses are to be of similar configuration having central open plan kitchen/living/dining areas with direct access onto the side and/or rear courtyards via sliding doors. Hallways have been minimized in the design with the kitchens being a galley style off the living areas with a breakfast bar and the four bedrooms all located upstairs. The master bedroom will have an ensuite. 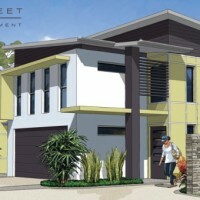 For more information go to Eugaree Street’s website – Eugaree Street Developments – Townhouses for Sale, Southport, QLD, Australia.